Welcome back, or as Mrs. Raccoon might say: hello furry and furless friends! We’re back with one last video from our friends at The Jim Henson Company and today we’re learning all about deep breathing and belly breaths. Parents who do yoga or meditation might already be familiar with this technique! Help kids practice being more patient with a few belly breaths to calm them down first. Begin by placing both hands on your belly and take a breath in for three seconds, imagining that there’s a balloon in your belly that you’re blowing up. Then, release the breath for three seconds, deflating that balloon. After a few of these, kids will feel more peaceful, ready to be patient, and able to deal with big feelings. Watch the whole video with Mrs. Raccoon and Chester below for even more fun! 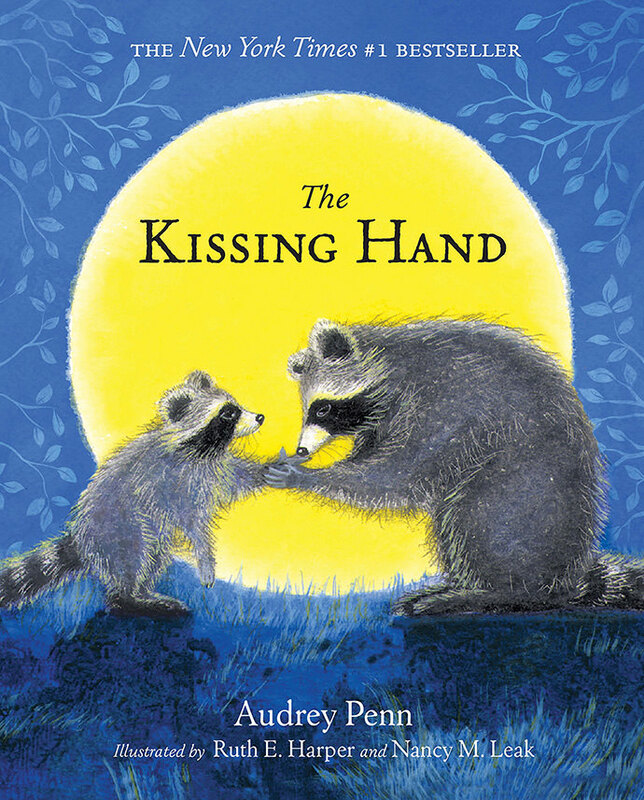 Plus, we’re hosting a giveaway with Jim Henson’s Family Hub – we’re over the moon to be giving away 5 copies of The Kissing Hand by Audrey Penn! Make sure to enter the draw below. Good luck! Thanks so much for joining us! We hope that Mrs. Raccoon and Chester have given you and your little ones some ideas that help with your back-to-school routine this September. My “kids” are my nieces and nephews! Also love doing back to school shopping with them!